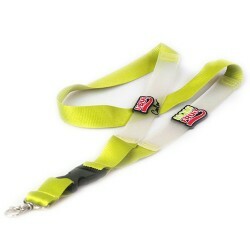 Popular polyester ribbed lanyard with PVC strip. Your choice of clip including. Popular polyester ribbed lanyard with PVC strip. Your choice of clip including. Lanyard colour can be matched to your pms colours. Minimum quantity 300 units.